2010 Gary Farrell Chardonnay Carneros Selection: Retail ~$30-35. On sale at the PLCB for $20. This was a Chairman’s Selection purchase at the PLCB. For those of you new to the game, Pennsylvania is a liquor control state–you can only buy wine and hard liquor at state run stores (beer is another story, which is perhaps even more maddening). A few years ago, as the wine drinking public became increasingly fed up with the system (and more customers buying their booze across state lines) the PLCB introduced this program. Essentially, the PLCB goes into wineries and buys all the stock of a certain wine, naming their own price and then passing the ‘savings’ on to the consumer. What ends up happening in most cases, in my opinion, is that the winery offers the PLCB wines that for whatever reason have not been selling well at the winery. There is a lot more to be said about the ‘program’ but that is the essential gist. Again in my opinion, that is exactly what happened here. At first I thought this was pretty good, but as the bottle wore on, I started to change my thoughts a bit. A great lemony nose that promised good fruit and complexity, but on the palate, it’s a bit disjointed–there is the slightest hint of oak, but it is over-powered by the bracing acidity. This might just need a bit of time to settle down since there are a few issues to resolve, but for $20, I am not going to take that risk. I have been a fan of Gary Farrell for some time (and particularly when the winery was still run by Farrell–he sold it a few years ago). Simply put, this is not a wine that is up to Farrell’s typical standards (even post-sale). I see why they were having a hard time moving this wine at $32. Even at $20, I would say this is a pass. Good. 84-86 Points. 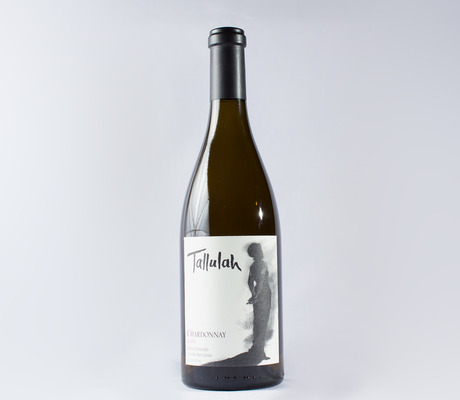 2009 Tallulah Chardonnay Farina Vineyard: Retail ~$32. There is no doubt that this is a big Cali Chard. A bunch of oak and butter–this is not for those who fear wood. Having said that, there is great balance here and really nice fruit. If you told me that I would like a big CA oaky style Chard, I would have been skeptical, but I really, really like this one. It is abundantly clear that the bottle I had a few weeks ago was flawed–this one was superb. Very Good to Excellent. 89-91 Points. 2003 Jessup Cellars Zinfandel: Retail ~$35. Noticeably better than the last bottle, this had rounder fruit, good balance and great aromatics. As I mentioned in the previous note, I like my Zins with a bit of age on them, and this certainly fit that bill. Great with the spaghetti and meatballs. Very Good to Excellent. 89-91 Points. 2006 Rosenblum Cellars Zinfandel Snows Lake Vineyard: Retail ~$30. Seems like I am on a bit of a Zin kick this week. Normally, I am not much of a Zin guy, but we all need to live a little, no? This is better than I remember the last bottle. Nice fruit and pretty good balance. Sure it is big, and it is a bit over the top, but I like it. I guess I am branching out. Go me! Very Good to Excellent. 89-91 Points. N.V. Pommery Pop Rosé Champagne: Retail $14. This was from a 187ml bottle (one fourth of a normal 750ml). I saw these in the PLCB a little more than a year ago. I was perusing a PLCB store and I saw these marked for $14. I asked a clerk if that was for the bottle or for the four pack. She had no clue. She asked the manager, again, no clue. They called another store. The answer: $14 was the price for all four (i.e., $3.50/bottle). I bought all they had (six four packs). Later, when I went to another store to buy more, they had realized the mistake and marked them back up to $14/bottle. Should I feel guilty? As for the wine, not bad, but it comes with a little straw so you cal drink it right out of the bottle. My wife laughs at me when I use the straw, but I can handle it…. Good to Very Good. 85-87 Points. WINE OF THE WEEK: I had a couple of Zins which I enjoyed, but were out of my wheelhouse a bit (I just do not drink enough of them), and the Farrell was certainly the disappointment of the week. The wine that clearly stood out was the 2009 Tallulah Chardonnay Farina Vineyard since it has caused me to pull a full 180 on the wine. Is it big? Sure. But it is also clearly well made, and I luckily have a few more left. This entry was posted in Champagne, Tasting, Wine and tagged Chardonnay, PLCB, Zinfandel. Bookmark the permalink. Yeah, I would never buy this at the ‘normal’ price. They have more dosage (run a little sweeter than the NV Brut) and are definitely targeted for a younger audience…. Hey! Still young at heart! Will have to try drinking the Champagne out of the straw! 🙂 And hope you and the wife are feeling better too. It’s kind of like riding a moped–fun to do until your friends see you…. South African wines this week. Sorry, I can’t give you the details, other than that I am on location and loving it. I trust you have found ‘subjects’ to your liking? Rosenblum has good zins … gotta love Desiree – their chocolate port! 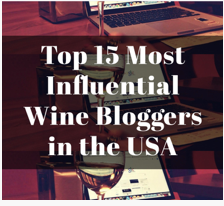 I might have to start drinking more Zin (but I have also said that about Syrah….). Then again, there’s so much good to try. I hope you feel better soon, JK! So, I have a question, what white would you pair with artisanal pizza (meatless)? Also, my wine of the week has been blufeld riesling. Interestingly, I sell it at work and here and there will buy a glass when I’m off duty and it fruity, medium body / nice legs, mildly sweet. However but the bottles I bought taste quite different. Still good, but somehow not as bright…Maybe a different year? Or maybe I need new wine glasses. I hadn’t paid attention at work…I’ll check the year and see if that is the main difference. I have a close family friend in Sonoma who bottles her own organic zin’s (i think”, she has a back-up storage for years! Have you thought about visiting Texas wineries? Its a beautiful state, I believe it is bikeable, from the way motorists treat cyclists, to the long country roads outside of (and sometimes within the city). Yesterday, I spoke with a representative from “the Naked Grape” who (sold my partner and I a Zin and Moscato…guess which one is mine?) told me that there are some amazing wineries here in North Texas. I’ve even seen biodynamic, local and organic farm labels. SOme are better than others, but the price points are usually around the $10 -$15 range. Since we’re here, we plan to do a visit. When we go, I’ll send pics and notes…maybe even a bottle for you to taste and blog! Hey Shawndel! This comment went into the junk filter for some reason, and I just saw it last night. So great to hear from you, it sounds as if things are going well! As for the pizza, even though it is meatless, does it still have tomato sauce? Tomatoes are tricky with wine pairings due to all of the acid. The safest bet would be to go young and fruity–a Chianti, Cotes du Rhone, even a lighter Shiraz from Australia. I have been wanting to check out the Texas wine scene for a while, but getting my wife to join me has proven to be a bit difficult (she used to live in Houston and does not have the fondest memories of the state!). As for your friend in Sonoma–we usually head out there at least once a year, so we should certainly chat!